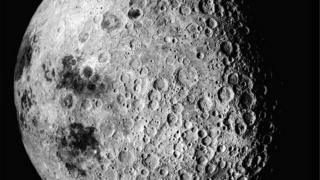 China is planning the first ever landing of a lunar probe on the far side of the Moon, an engineer has said. The Chang'e 4 mission is planned for sometime before 2020, Zou Yongliao from the Chinese Academy of Sciences told state broadcaster CCTV. Mr Zou said the mission's objective would be to study geological conditions on the moon's far side. This could eventually lead to the placement of a radio telescope for use by astronomers. The Moon's far side would be shielded from radio transmissions from Earth, making it an excellent location for sensitive instruments. China's next lunar mission is scheduled for 2017, when it will attempt return samples of lunar soil and rock to Earth. If successful, China would become only the third country after the US and Russia to have successfully carried out such a mission.